Cast pewter with an antiqued finish. You can order a 3 piece set (1 pendant, 2 charms) or get them individually. Most items in my shop ship for one flat rate. Check out the shipping cost by putting items in your cart. 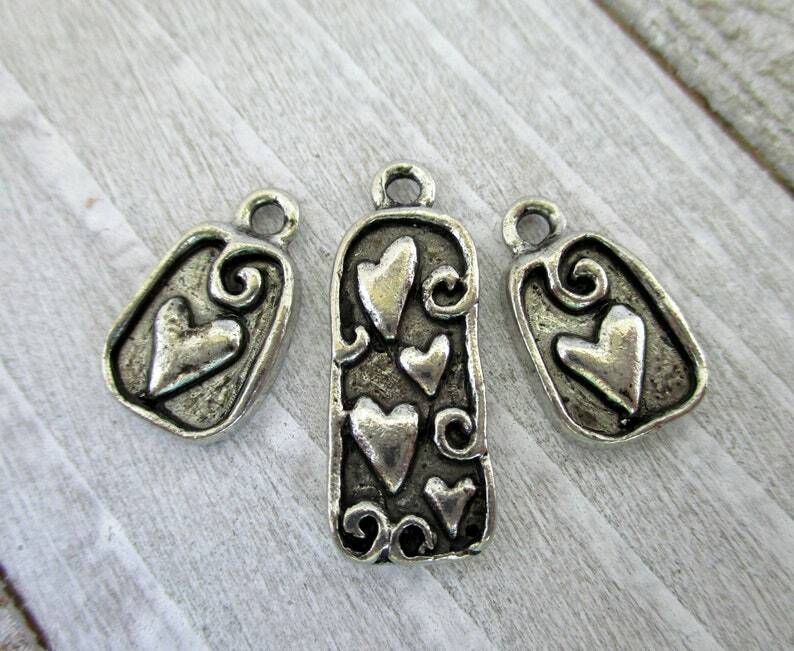 This little set of pewter charms is new and fresh to me i adore them. Your shipping was fast too and everything was fabulous.